Donate now and help a local child set sail, on the water and beyond! 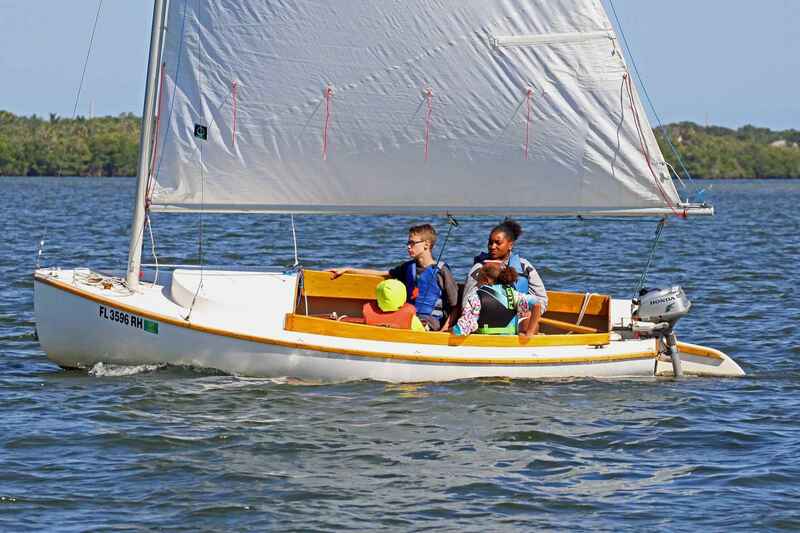 Your gift provides free access to sailing for kids from all backgrounds. Founded in 2009 by Charlie and Chris Pope, Youth Sailing Foundation of Indian River County is a not-for-profit 501(c)(3) organization offering free sailing instruction to the children of Indian River County. Through a variety of after school and weekend programs, YSF employs sailing as a means of empowering youth from all different backgrounds, ethnicities, and abilities. Sailing challenges and builds confidence by taking children outdoors, out of their comfort zones, and into a natural world of wind and water. While learning to pilot a sailboat, children acquire life skills that will endure on and off the water. YSF's success is measured in the competence, discipline, responsibility and leadership skills that blossom in our students. Beginning with just a handful of kids learning to sail in 8-foot Opti prams, YSF has reached over 900 local children in less than a decade. The fleet has grown to more than 60 sailboats and 10 safety power boats, along with a specially configured pontoon boat that serves as an on-water classroom. This season approximately 150 local youths, age 9 to 18, will head out on the Indian River Lagoon each week, where they will not only be taught practical boating skills, but will also be exposed to our rich local ecology and encouraged to become good stewards of the natural environment. Youth Sailing Foundation's children's programs are offered free of charge to all participants. The organization is funded entirely through the generosity and support of local individuals, businesses, and foundations. Thank you from the Beachland kids!